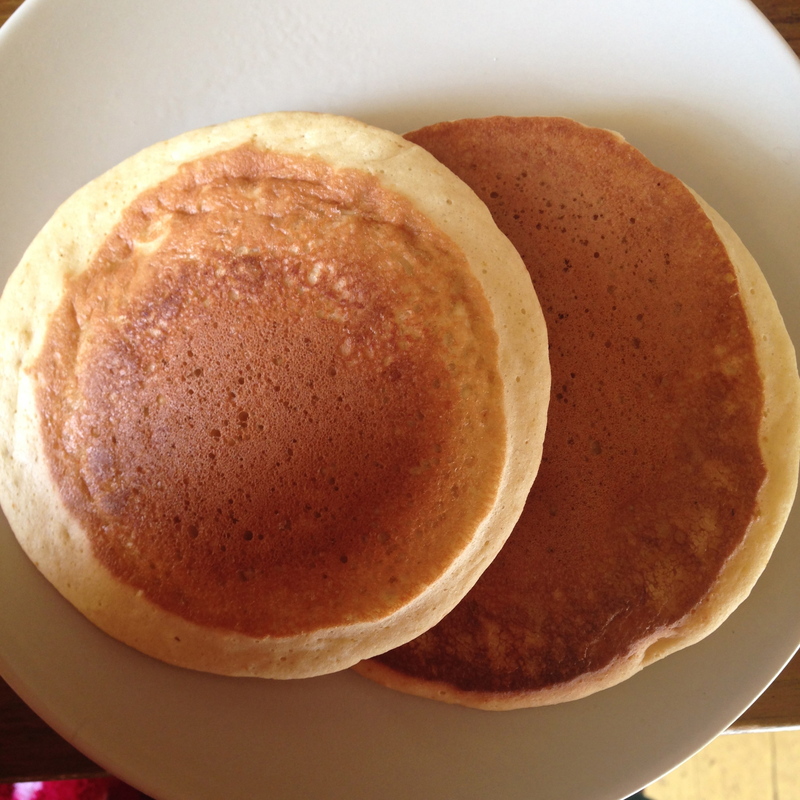 Pancakes were the first things I ever learned to bake, guided by the knowledgeable hands of my great granny. That’s right, this is an awesome, secret, hand me down family recipe, which I’m probably going to be disowned for putting on the internet, so you guys better enjoy these pancakes. We’re talking real pancakes here, none of that crepe nonsense. 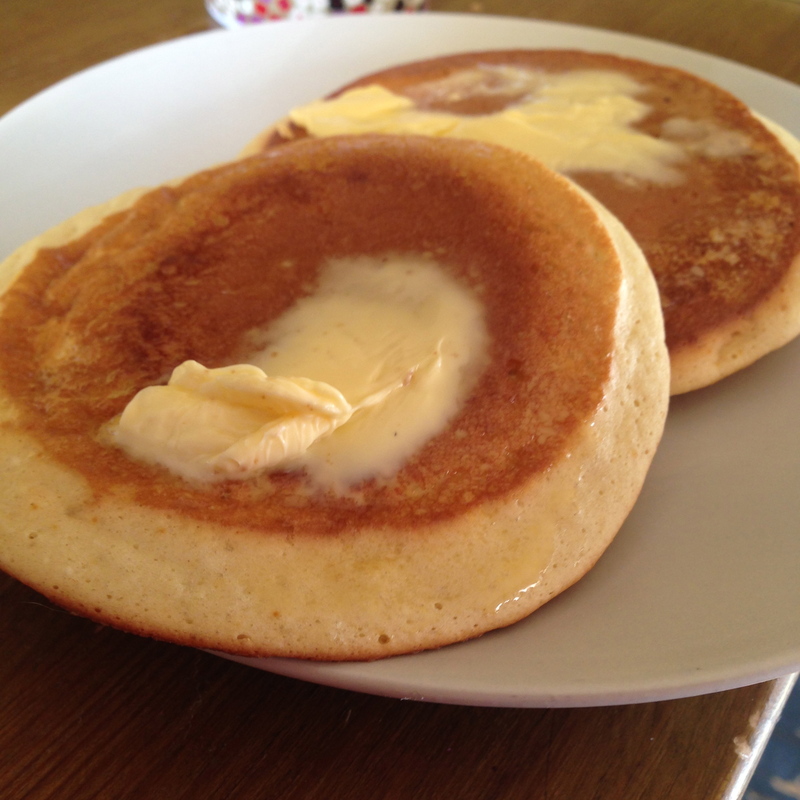 This recipe will give you amazing, thick, fluffy Scottish pancakes. They are still one of my favourite things to make, because they’re so simple and taste so freaking delicious. If 11 year old me can get it right, so can you! I’ve doubled up my recipe today, because I intend on eating pancakes for every one of my meals, but I’ll give you the standard one and you can do with it what you will. 1. 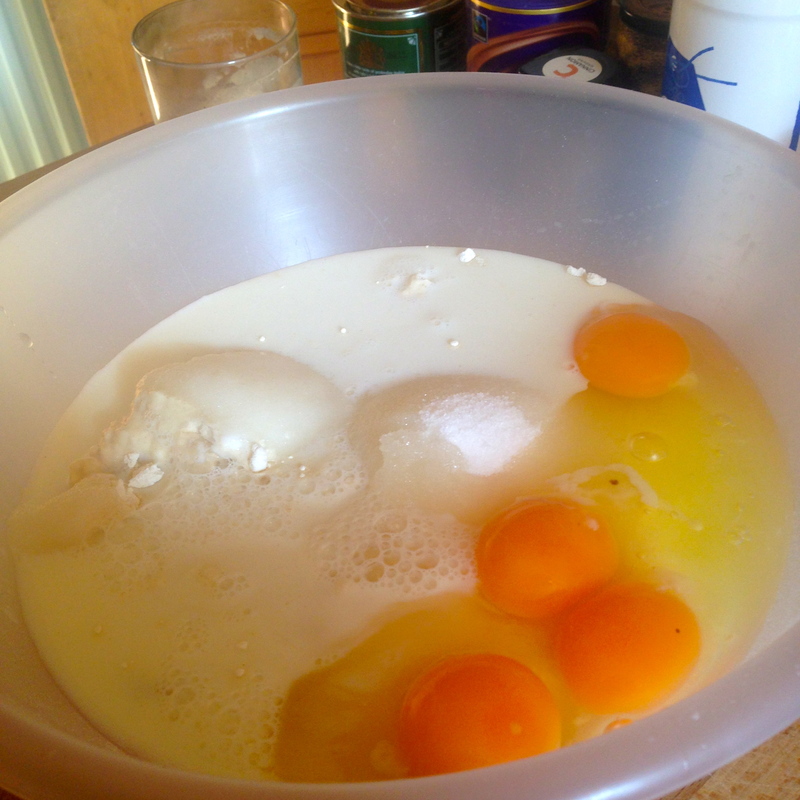 Put 2 cups of self raising flour, 1 cup of sugar, 2 eggs and a big glug of milk into a big bowl. 2. 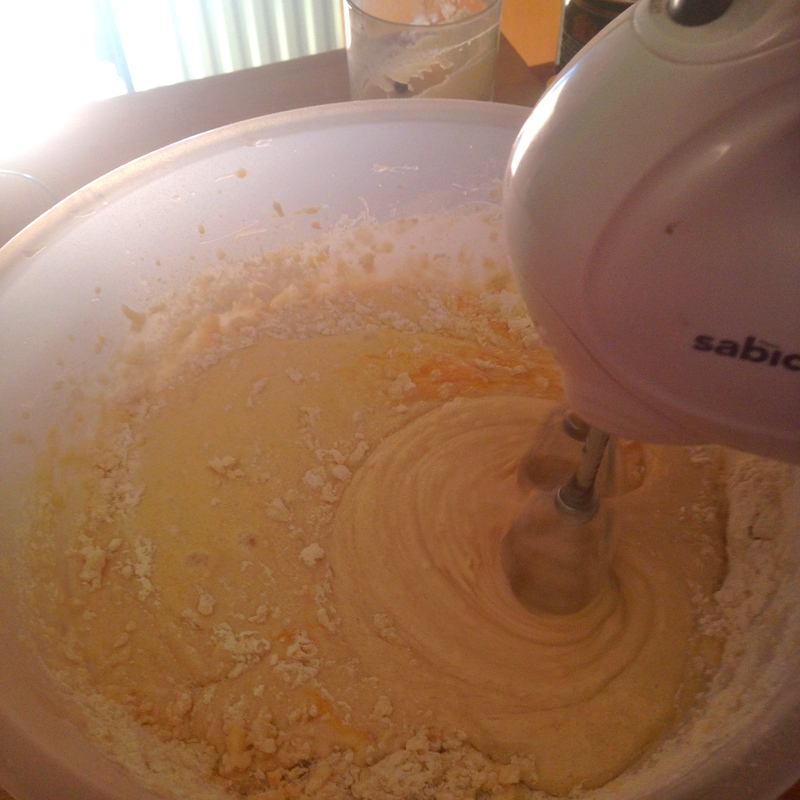 Beat this together with an electric mixer or whisk, if you’re super old school. Keep adding more milk and mixing until it gets to the stage where drops of mixture take a second to sink back into the mix. 3. Secret ingredient time! 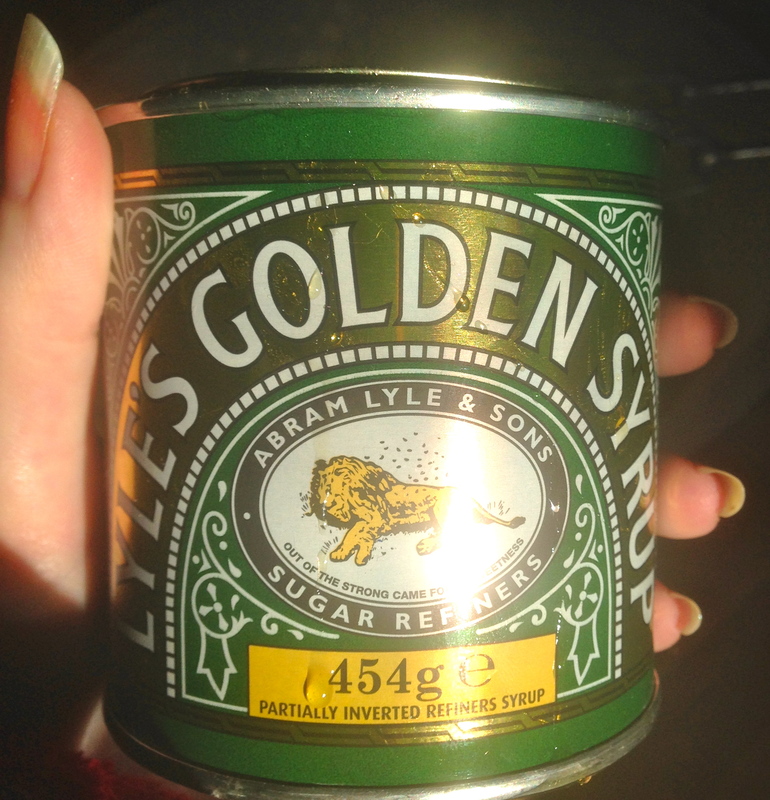 Add a great big dollop of Lyle’s golden syrup and stir that in. I will fall out with you if you don’t use Lyle’s. Look at it, glowing in the heavenly light. 4. You’re ready to cook them! I have a pancake maker, which seriously, might sound frivolous and stupid, but means you can mix up a batch of batter on a Sunday night and have pancakes in 4 minutes for the rest of the week. It also means you don’t have to sacrifice your first pancake to the pancake gods like you to when you fry them in a pan. But if you don’t have a pancake maker, get a pan nice and hot and grease it with plenty of butter. Put a ladleful of batter into your pan and wait for it to start bubbling like crazy. Flip it. Check the other side occasionally. When both sides are a nice, rich brown, it’s done. I like them best just with butter on, but they’re also amazing with jam, syrup, sugar and lemon, and cheese (trust me on this one, it’ll change your life). They’re my favourite thing to make, because they always turn out fab! Are you folks making pancakes today? Yummy! It’s it’s not Lyle’s syrup then it’s not a proper pancake as far as I’m concerned! Sorry, but being Canadian, our pancakes are all about the real maple syrup. 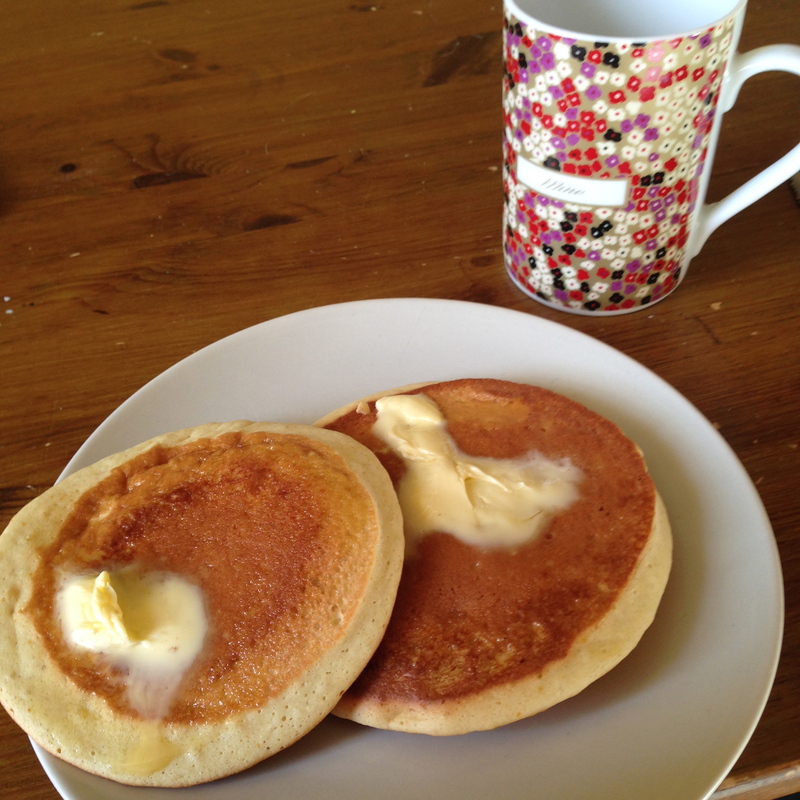 Yay for Pancake… errr, I mean Shrove Tuesday! Great granny and granny M would be well proud of you. They look great and I too am a cheese man. Maple syrup great for putting on them but not in them.